Want to help us fund our promotion and education activities? North Dakota Badlands Horse Registry is a Federal 501 (c) (3) Non-Profit that promotes, advocates for, and registers the wild horses in TRNP as of 2009. Because wild horses of the Badlands hold a unique place in the history and settlement of North Dakota, the North Dakota Badlands Horse Registry was established to register, promote, appreciate, and preserve the wild horses of Theodore Roosevelt National Park. 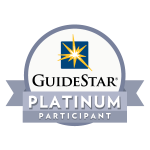 View our Guide Star report by visiting Guide Star.